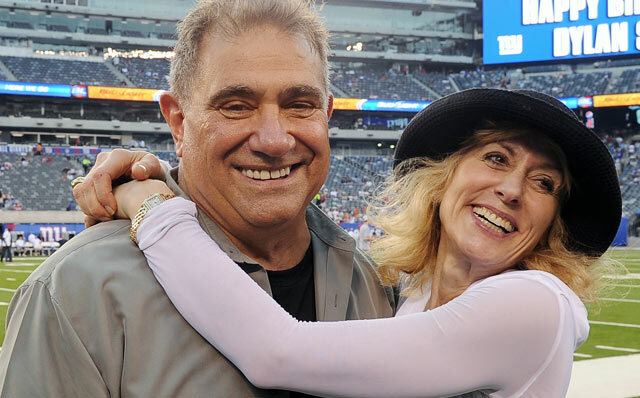 Dan Lauria and Judith Light, above, as Vince and Marie Lombardi at a Giants/ Patriots game. Photos from http://www.lombardibroadway.com. "WE didn't lose. We just ran out of time," Dan Lauria's Vince Lombardi bellows at Keith Nobbs' Michael McCormick in the new NFL co-produced "Lombardi." You don't have to be a football fan to enjoy the outstanding performances in this tight and light drama about the life of the late, great coach of the Green Bay Packers. There are not a lot of surprises in the script by Eric Simonson based on the book, “When Pride Still Mattered: A Life of Vince Lombardi,” by Pulitzer-prize winning Washington Post editor David Maraniss. 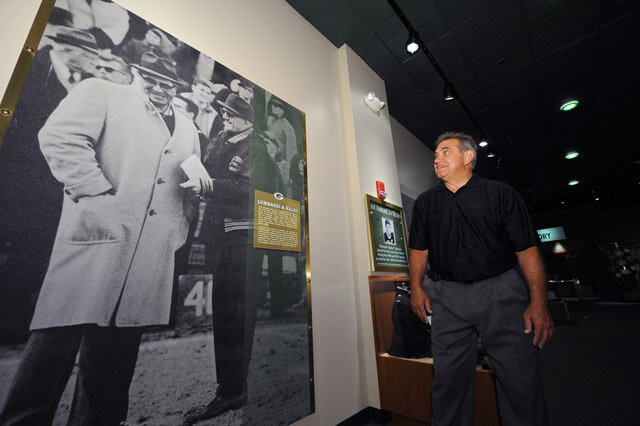 Coach Lombardi is a tough taskmaster with a monomaniacal focus. He rages easily. DL gives a well-rounded performance as a man who demands perfection and control. He is exceptionally good at his craft and an excellent leader. In “Lombardi,” at the Circle in the Square Theatre through 2 Jan., there is also a fair sprinkling of locker room chatter with which audiences will probably be familiar from going to the movies. I am excessively fond of films about sports. I love the life lessons they teach and the spirit they exhibit. This show has that spirit, too. Dan Lauria’s Vince Lombardi at Lambeau Field, home of the Green Bay Packers, next to a poster of himself. Judith Light is exceptional as the brittle, hard-drinking Marie, Lombardi's wife and booster. She sees his flaws and protects her husband. Her pride in his accomplishments is evident. Michael McCormick narrates the story, which covers several years but centers around a weeklong interview that appears to be his biggest assignment. KN is boyish and poised as the likable young reporter. Visit http://http://www.lombardibroadway.com/ to learn more about 'Lombardi."